My last book of the year. I think this was a good one to end 2016 on. The book is Humans of New York. Mat got me this book for Christmas. It wasn't on any of my lists - he just thought I would like it and he was right. It is a photographic story that was started in 2010 by photographer Brandon Stanton. 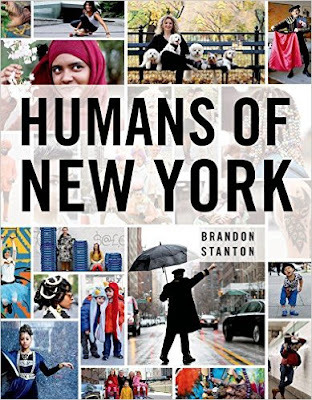 Brandon went to many of the neighborhoods in New York to capture the people who lived there. There were several stories that accompanied the stories. This book is a result of his blog, which has millions of followers. The book is beautiful. I grew up going to New York City several times a year - taking in the sites with my family, and also attending countless Broadway Shows. One of my first cousins grew up to become a Broadway actress, and she is still there today. Now that I have my own family, we continue the tradition into New York City with our kids. This book captures New York City perfectly. The wide variety of people who live there and who are not afraid to live out loud never ceases to amaze me. Me - always being one who isn't comfortable with my own skin - always envy those who are. This book is a quick read, but if you are looking to see some amazing pictures and hear some incredible stories of real people, I encourage you to grab this book and give it a read. It is something I will treasure for years to come and constantly look at when I need a smile. She really liked this one so she bought a copy for me. This is the story of Julia who goes to Burma in search of the father that abandoned her and her mother. She has never forgiven him but wanted to know why. She has found a love letter among her father's things, to a woman she has never known. Julia need to know the answer to her father's disappearance from her life, so she heads to the village where the woman supposedly lives. 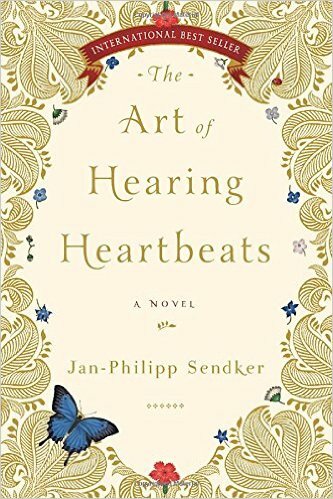 She meets a man who promises to tell her the story of her father and who knows of the woman, so she agrees to listen if it means she gets her answers. 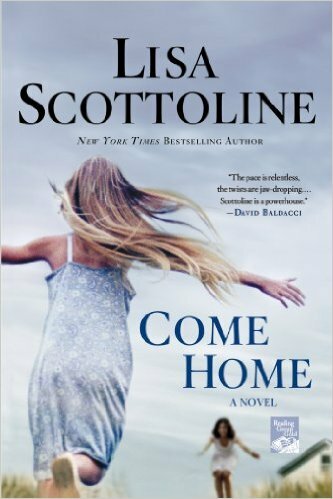 In listening to the story, she uncovers her father's past and a love that spanned a lifetime. I thought this book was wonderful. I had a hard time putting it down, because I was enjoying listening to the story of Julia's father's childhood and how he met the love of his life. Julia's father was blind as a child for many, many years, and since my own daughter is legally blind, this hit a cord. I enjoyed reading his resilience to his sudden blindness and how he still found friendship, and love. And in the end, we learn who the man is and how he knows the story of Julia's father which ended the book perfectly. I encourage you to pick up this book and read it. I still had a few weeks before the end of the year, so I kept reading. My mom had lent me two books, and I was able to finish them both off. This is the story of five women who are in a Book Club together. They are friends, but just barely. There is Eve, whose husband sudden death sends her entire family into a tailspin and upends her very cozy lifestyle. There is Annie, who is an attorney, who is trying to have children a little later in life, and it isn't going well. 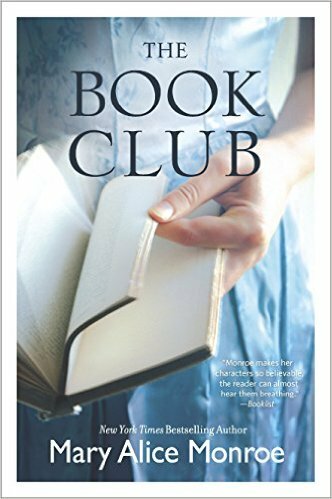 Doris views the Book Club as a support group - she is trying to save her marriage until she is faced with her husband's betrayal. Gabriella is the sweet innocent nurse whose husband loses her job, and instead of helping herself, she takes extra shifts to support her family while her husband stays out of work for a year. And there is Midge who is an artist who is not married and has no kids, but has to deal with her over barring mother who decides to move back to Chicago to be near her daughter. These five women come from different walks of life, but in the end, they see how much they need each other. It becomes more than a book club - it is a support group for these ladies at the turning points in their lives. I liked this book. My mom deemed it "just okay", and I agree with her. It was a nice easy read during a busy holiday month. The writing was just so/so, but it passed the time. If you are looking for a beach read, this may be a good one for you. After that last book, I needed myself a good read. I walked into our local bookstore, and saw this Stephen King book, and thought it sounded good. It is a book of short stories, so there is no way to review it except to just tell you all but about 2 of them were great. The stories range from anywhere from about 10 pages-50 pages. One of the longer ones is one of the ones I didn't like much - it just seemed to drone on. But like I said, most stories in this 700 page book were good. 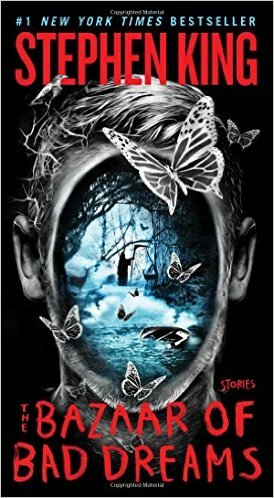 What I liked the most is before each short story, Stephen King did a small introduction about when he wrote the story and how it came about. It gave me a little more insight into one of my favorite authors. It helped me understand his thought process for the story he was writing, and I thought that was great. Give this one a try. Because it is short stories, you could pick a few and read them, and put it down and come back to it whenever you want. My challenge may be done, but my love for reading hasn't ended! I still had several weeks to go, so I picked up a few books I couldn't fit into the challenge - things that friends lent me. This is the story of a divorced mother who is finally getting her life back on track after a bad divorce. She is about to remarry, has a job as a pediatrician, and her daughter is a happy teenager. Things take a turn when her ex-stepdaughter, Abby, shows up at her house one night claiming that her dad was murdered and begs Jill to help. Jill agrees - even though her fiance doesn't approve - and finds that things don't add up. It does look like her ex-husband's death was not accidental. The further involved she gets with her ex-stepdaugher's life and the supposed murder, the more in danger she becomes. I didn't like this book at all. It was truly awful. The characters were boring, and I rolled my eyes more than once at the constant "I love yous" and hugs these people had for each other. It was overkill and poorly written. I just have nothing good about it. I understand this author has a lot of other good books, and I put one on my challenge for next year, but after reading this....I might re-think it.